These days it’s difficult to find high-quality fresh ikura; the majority is frozen for easy storage and transport. But truly fresh ikura has taught skins, forming plump translucent spheres of flavor. Unfortunately, it does not last long in this state, since the spheres begin to sag and degrade once frozen. Sometimes the juices even leak out. Eating ikura is a very unique experience for first-timers. The spheres provide a tiny bit of resistance to biting, forcing them to burst with flavor and juices. They’re salty, very savory, rich in umami, and a bit more fishy than most other sushi items—potentially making ikura one of the more controversial types of sushi. 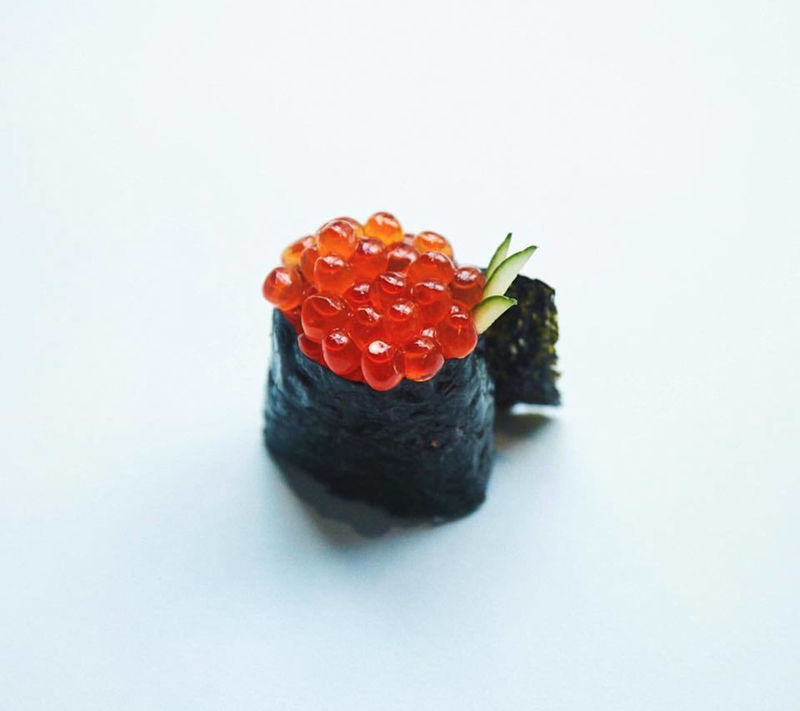 Unlike other roes used in sushi like tobiko and masago, combining ikura with other ingredients is uncommon. 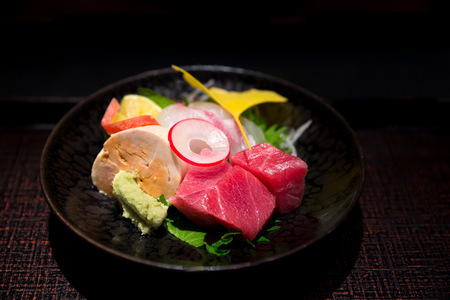 It is best enjoyed as it is or with a quail egg yolk to further enhance the rich savory flavor. Being a relatively new fish in sushi, salmon does not have many customs around seasonality and when the “best” ikura is meant to be served. 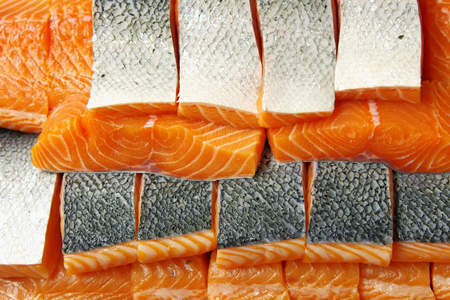 And unlike the flesh of the salmon, there is very little difference—if any—in the taste of farmed and wild salmon roes. In fact, most ikura comes from farmed salmon, whose reproductive schedule and roe yield is easy to predict. This is good news for ikura fans, who can enjoy it all year with consistent flavor and quality. One important consideration is the age of the eggs as the skins can become thick and tough if you wait too long to harvest them. For wild salmon, the optimal time is mid-Fall for ikura when the eggs are at their largest and softest. When a salmon begins to produce eggs, it does so in a sujiko (egg pouch) inside its belly. 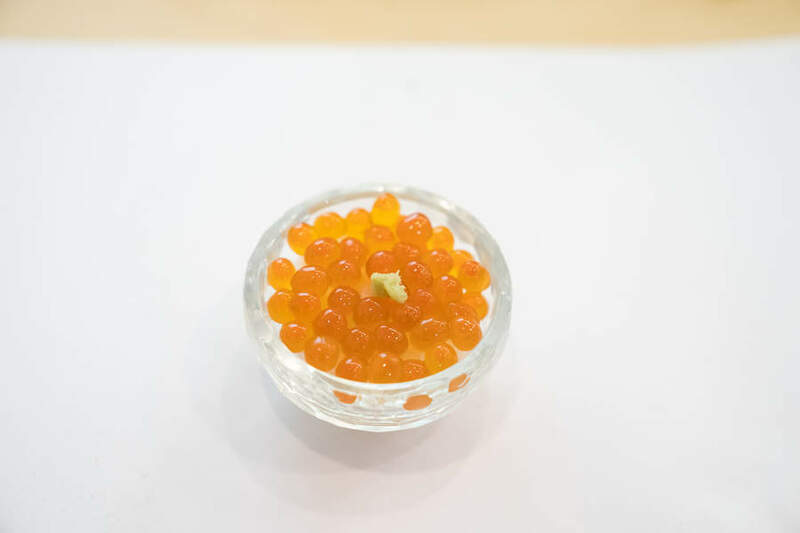 Many people simply enjoy ikura without much thought to where the eggs come from, but are surprised to see the eggs emerge as one large orange object just like any other organ. 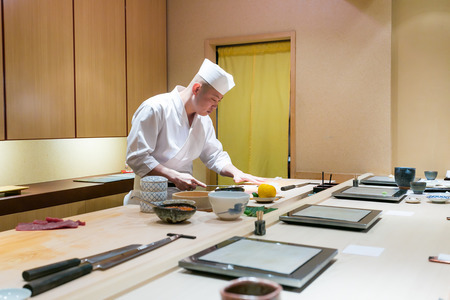 The eggs must be separated from the sujiko in order to make sushi. 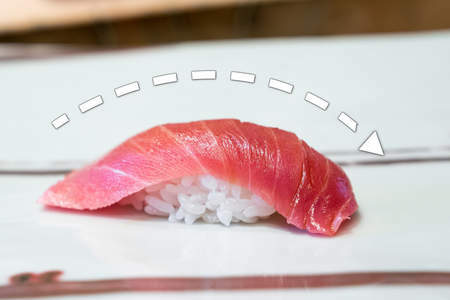 When filleting the fish, you must be careful not to rupture the sujiko or you risk damaging the eggs and spilling them everywhere. Before removing the eggs, soak the sujiko in a warm—not hot—3% salt solution and open the pouch to release the eggs. Drain the water to leave the eggs and rinse several times with fresh water until they look cleaned of any membrane. Allow the eggs to dry before marinating them overnight in a mixture of equal parts shoyu (soy sauce) and sake (rice wine). Ikura is almost always prepared as gunkan-maki, in which a short strip of nori (seaweed) is wrapped around the shari (sushi rice). 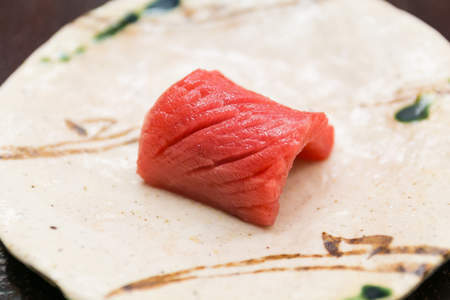 It is nearly impossible to prepare as nigiri, but can be prepared this way if part of the sujiko is left intact. When the gunkan is ready, scoop a portion of the ikura to fill the top. Enjoy the savory bursts of flavor as each egg bursts in your mouth.